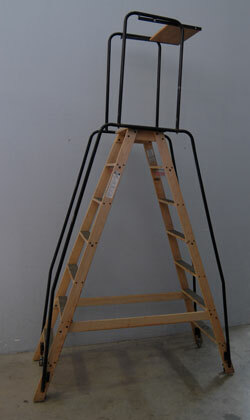 Rolling ladders can experience a wide range of damage, such as bent frames & support braces, locking step assemblies breaking, wheels and casters, unexpected missing nuts & bolts, and missing boots. Batavia provides solutions for all these problems and more, with a quality inspection and onsite repair. 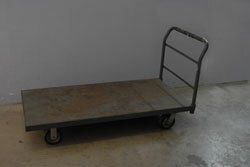 Batavia also provides a number of maintenance & repair solutions for rolling carts and shopping carts. Our history of maintenance & service with this type of equipment, as well as a variety of other equipment in an organization allows us to become a one-stop service provide for most companies. 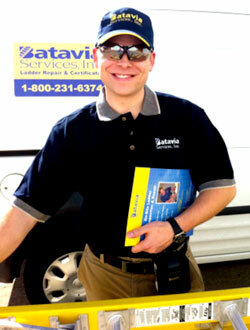 Batavia’s trained technicians have been servicing the Telecommunications and Cable industry for over 25 years. Each Representative has the experience, knowledge, & trained skills needed to make sure that your ladders are maintained in a safe condition to greatly reduce the threat of liability and associated cost. Proper inspection, maintenance, and needed repairs will reduce your ladder replacements and cost, in turn saving organizations valuable resources such as time and money.